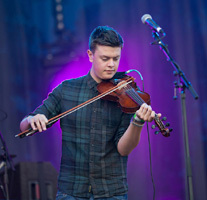 Ciaran is a multi-instrumentalist (Fiddle, Guitar, Banjo, and Percussion) who is quickly becoming one of the most highly-regarded young musicians on the Folk circuit today. His playing has been described by fRoots as “engagingly empathetic and honest with a lovely tone” whilst Living Tradition magazine said he “exudes a life experience of a skill finely-honed from a myriad music sessions in a million bars”. Ciaran’s musical influences come from deep within the Irish tradition, with Sean Smyth of Lunasa being his biggest inspiration. This Irish connection led to Ciaran taking part in the Fleadhs run by Comhaltas, in which he was extremely successful. Over 8 years of competing, he won 20 regional titles, 12 British titles and 1 All Ireland title across various categories (Fiddle, Fiddle Slow Airs, Bodhran). 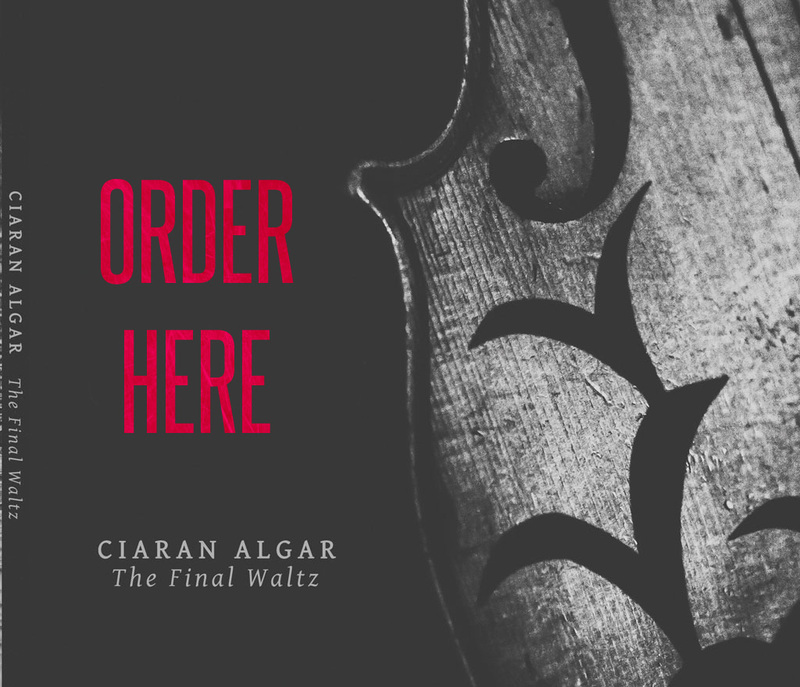 Ciaran’s love of performing was born when he entered high school. He attended St Joseph’s College, a school which prides itself on its fantastic music department. Other graduates of St Joseph’s include Dan Croll (Singer/Songwriter) and Oliver Eyre (Broadway/West End Performer). From his first day at the school, Ciaran was encouraged by music teachers Derek Hurst and Julie Popple and was given the opportunity to perform at every opportunity. In his last few years at college, Performing Arts teacher Craig Gilligan helped Ciaran to polish his stagecraft and encouraged him to explore different genres of music, such and Funk and Jazz. Ciaran would never have considered performing if it wasn’t for the dedicated and incredibly supportive staff from his school. Ciaran played with the Irish band ‘Tri’ for around 5 years alongside Niamh Boadle and Neal Pointon, and gained a fantastic reputation around the UK Folk Festival scene for confident and energetic performances, even at a very young age. The band released one album, “Snapshot”, but disbanded in 2011 to focus on University and other projects. In late 2011, Ciaran met young singer and guitarist Greg Russell for the first time, and played a few songs with him at a solo gig at Newhampton Folk Club. 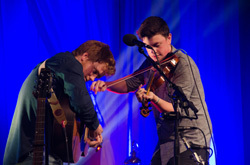 Four years later, the duo have won two BBC Radio 2 Folk Awards (and a third nomination), two albums and a live DVD to their name, and are fast becoming one of the hottest acts on the folk circuit. With plans for a new album in 2016, the duo are very much still on rise.